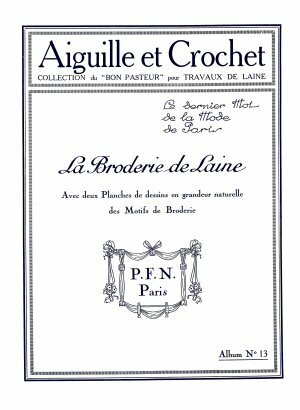 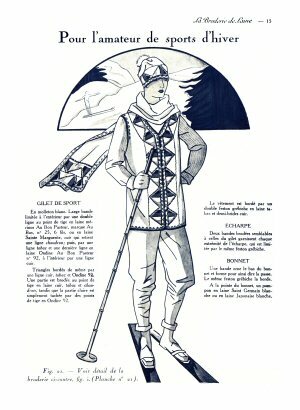 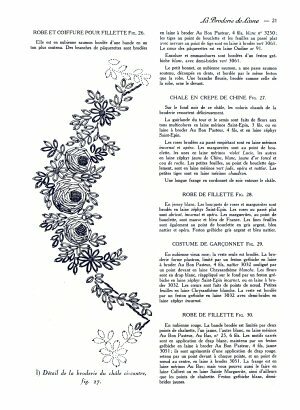 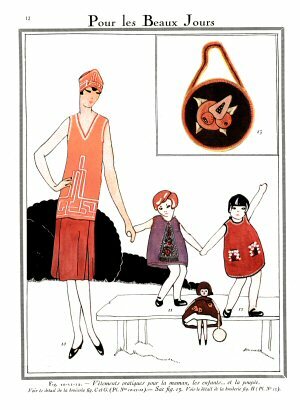 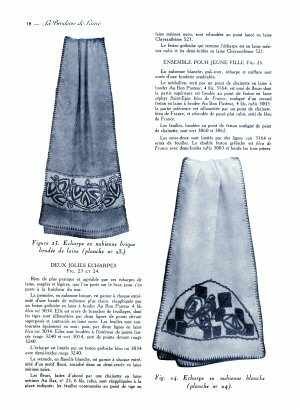 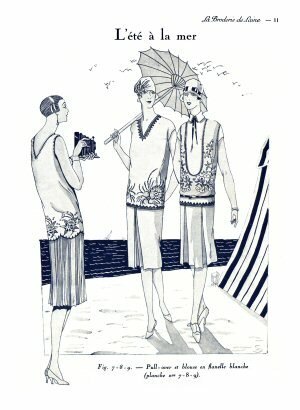 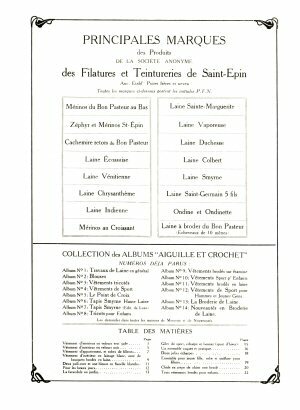 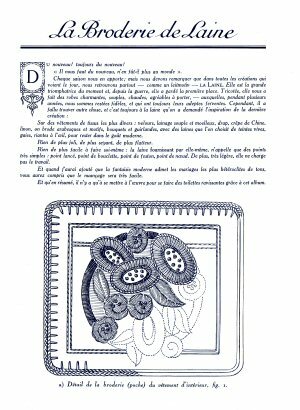 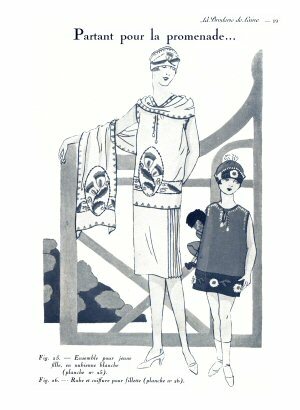 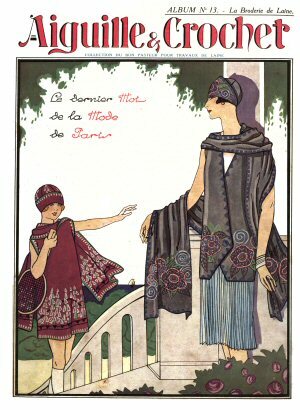 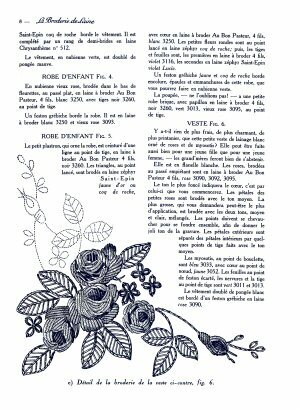 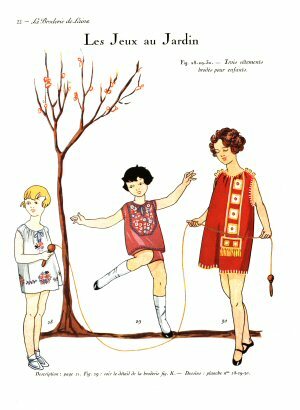 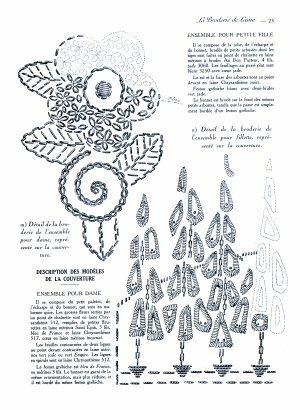 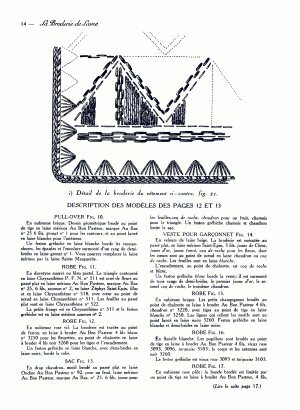 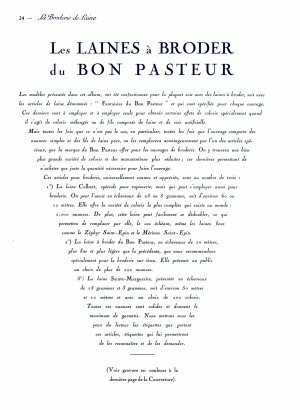 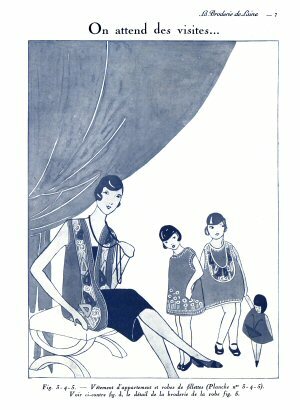 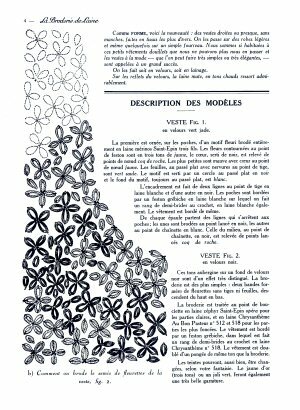 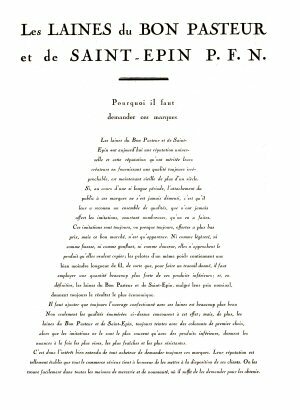 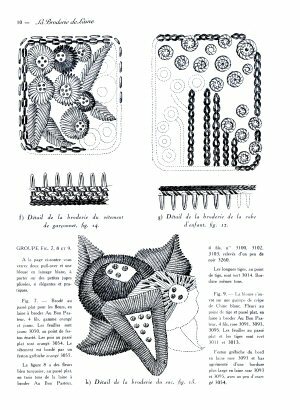 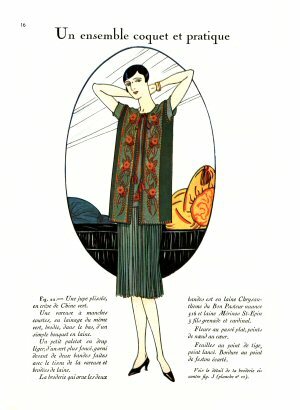 French language booklet of embroidered ornamentation for women's and children's clothing, circa 1920s. 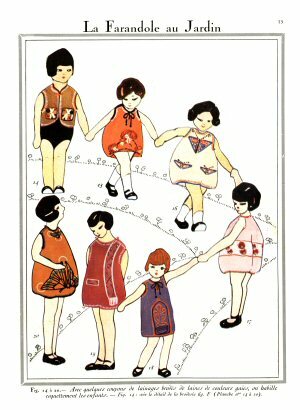 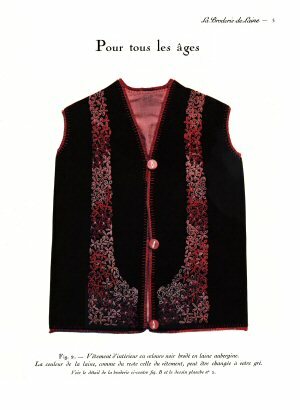 24 pages of embroidered vests, summer tops (elongated sleeveless t-shirt shapes with deep v-necks, sunsuits, handbags, doll clothing. 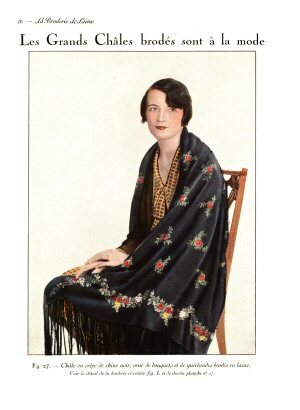 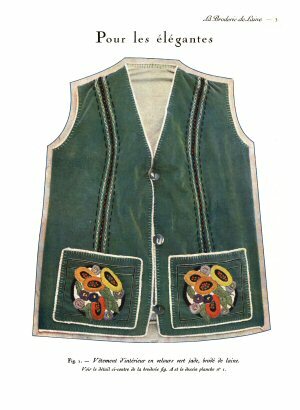 winter vests, skirts, embroidered scarves and wraps, worked in fine multicolor wools. 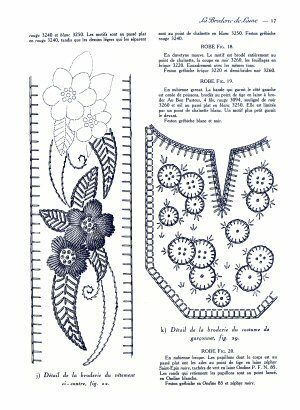 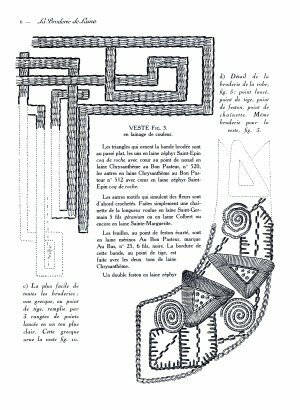 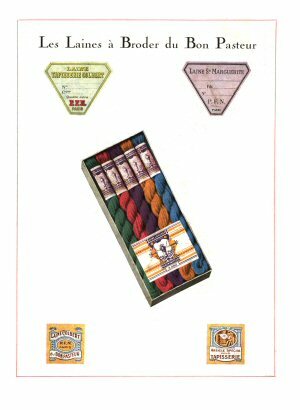 Drawings show stitches, some color illustrations. 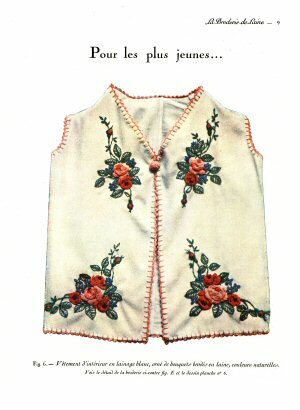 Many designs are wearable today.